The Sole Pack Hoof Packing relieves dry, hard, sore hooves, while combating bacterial and fungal infections. It also treats white line disease. 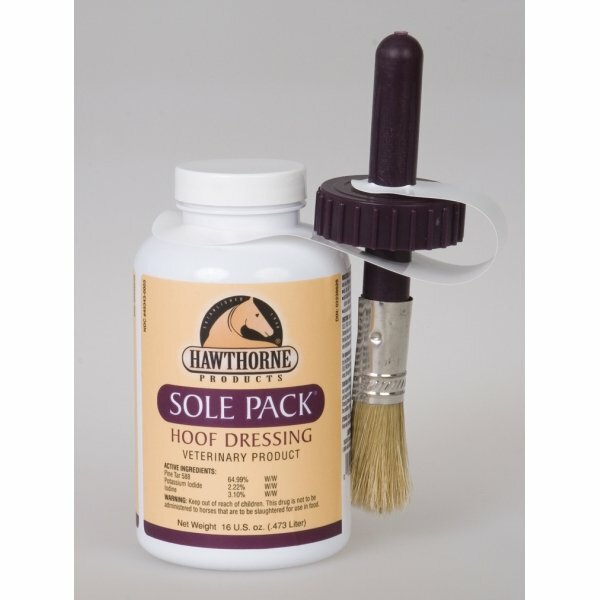 Sole Pack Hoof Packing is extremely effective in maintaining the natural pliability of the hoof. Equine Sole Pack Hoof Medication has different options and/or variations, please choose below. The Sole Pack Hoof Packing relieves dry, hard, sore hooves, while combating bacterial and fungal infections. It also treats white line disease. Sole Pack Hoof Packing is extremely effective in maintaining the natural pliability of the hoof. 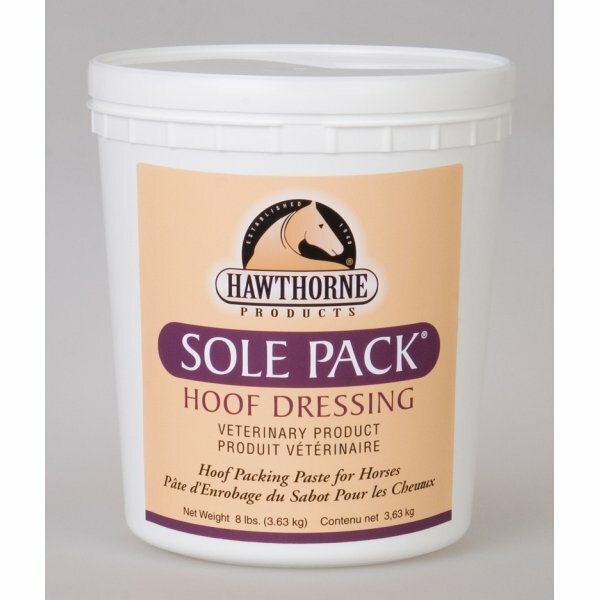 Sole Pack Hoof Packing is fast-acting, quick-penetrating and formulated with soothing natural ingredients. 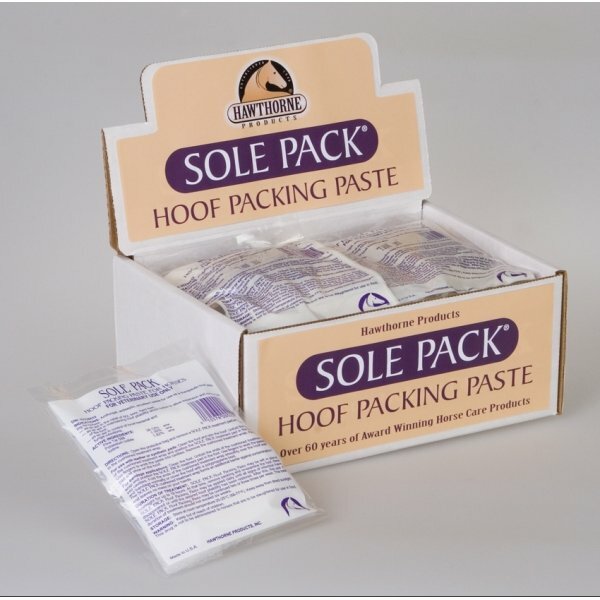 Sole Pack Hoof Packing is available in two sizes: easy-to-use individual 'Dose Packs' and the more economical 8 lb. bulk quantity. The Sole Pack Medicated Liquid Hoof Dressing now comes with a brush applicator that will cover faster and smoother. For economy, purchase the convenient 32 ounce refill for the brush can. Sole Pack will seek out and aggressively combat bacterial and fungal infections. Sole Pack liquid are the most effective natural medicated products for the protection of your horses feet. This patented product is recommended by Master Farriers nationwide. Pack the incision with Sole Pack Hoof Packing. Bandage foot or use an Equine Slipper. Pack hoof with Sole Pack Hoof Packing. Cover with paper, bandage or Equine Slipper. Apply pad and shoe on the hoof. Made in the usaPine Tar, Potassium Iodide, Iodine. Made in thePine Tar, Potassium Iodide, Iodine.